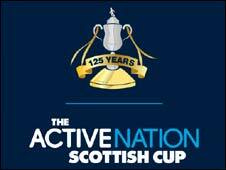 Berwick saw off non-league Civil Service Strollers with a narrow victory to progress in the Scottish Cup. The hosts took the lead in the 32nd minute when Gerry Burgess sent a looping header beyond Berwick keeper Mark Peat from a Danny Forbes cross. Fraser McLaren, who came on for Steven Radzynski at half-time, fired home the equaliser in the 60th minute. And the former Gretna striker scored his second when he shot beyond keeper Gavin Ramsay to seal victory. Civil Service Strollers: Ramsey, Burgess, Fogges (Dwyer 73), Barbirou, Jack, Hogarth, Dunn, Newby (Bain ), Sommerville (Reid 82), Dickson, Campbell. Subs Not Used: Dillon, Raeburn. Berwick: Peat, Notman, Smith, Guy, Ewart, Callaghan, Little, Currie, Brazil, Radzynski, David Greenhill. Subs Not Used: Ellison, McLaren, Russell, McLean, McMullan.